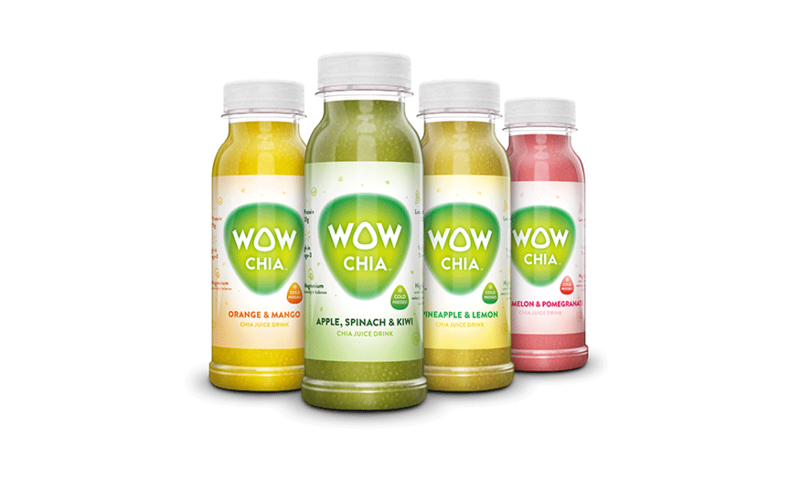 Putting the Wow into Healthy Drinks. 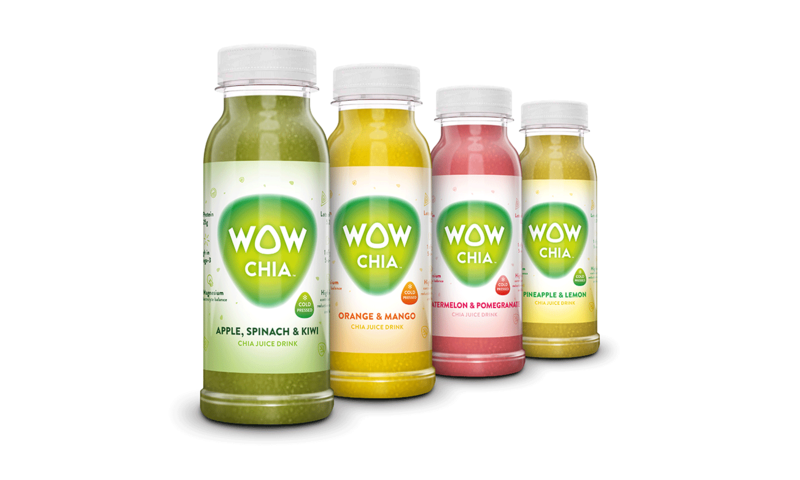 To make a big wow in the RTD healthy drinks category. 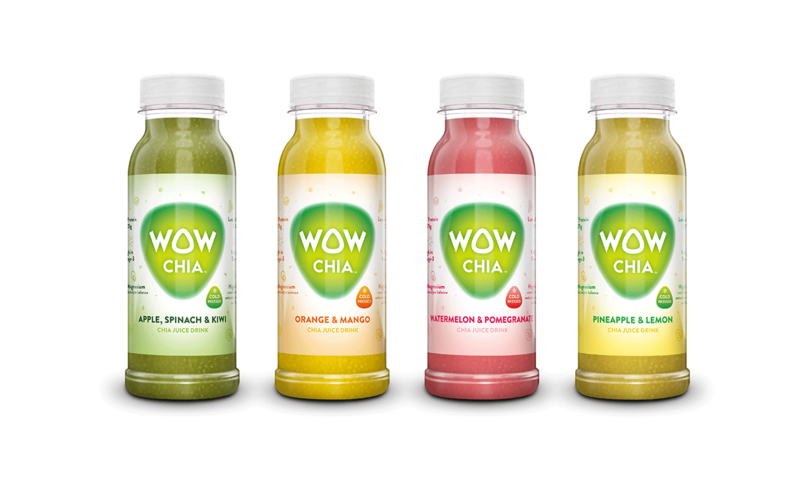 The team behind Wow Chia came to Identica with an NPD idea, a brand name, and an ambition to take the healthy drinks category by storm. In a market as dynamic and crowded where new ingredients such as chia seeds are likely to be jumped on by everyone, we felt it was important to hit the market hard, and take a leadership stance from the off. And we knew that our experience in bringing Pip Organic to market would be invaluable. We kicked off the process with a workshop session, designed to pin down the key building blocks of the brand. We painted a picture of our proposed target, and worked out a compelling story to persuade them to our cause. We examined the competitive context, and identified how stand-out could be achieved and set our designers to work. Our technical and production teams worked with Wow to iron out the wrinkles in production, to create a robust go to market strategy. The packs hero the product and bring to life the benefits of this ancient super-food in a modern and contemporary way, with strong appetite appeal. Following a launch in Germany and in the UK, the brand continues to grow apace, and has connected a reputation for innovation with the Wow brand name.